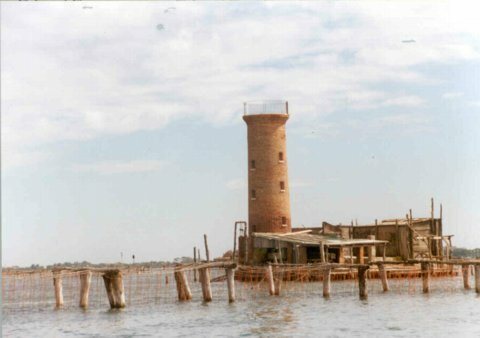 Faro Spignon: that was the lighthouse used before the faro Rocchetta was built, to help the entrance of the ships in the lagoon from the Porto di Malamocco. Walk south along the western side of Lido di Venezia into Malamocco. If the tower can be seen from land this is probably the place to view it.